As we enter the next cycle of the Fort Lauderdale real estate market , a more balanced one, if is important to remember those basic rules of real estate, location location location. With this in mind we want to bring your attention to Watergarden. Read more about Watergarden, which is located at 347 N. New River Drive, Fort Lauderdale, Florida. 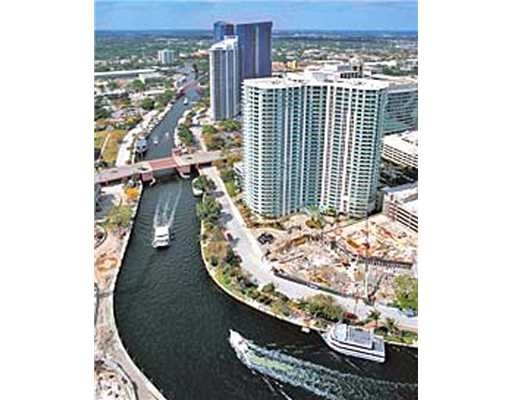 The Watergarden, Fort Lauderdale is what real estate success stories are made of. It is one of the great Fort Lauderdale Condominiums. When the Watergarden went on sale the builder, Minto Developers, packed the Fort Lauderdale Convention center for a lottery, it is safe to say none of the buyers were disappointed with the condominium he built. The Watergarden sits across a quiet street from the New River in downtown Fort Lauderdale just two short blocks from Las Olas Boulevard. The building features a full list of ammenties that include one of the prettiest pool areas in the city. The building is 32 stories tall, has 315 residential units, and one commerical space. From the concierge service, to the valet, club room, meeting rooms , billards room, to the two story health club, the moment you enter the lobby of the Watergarden you feel the elegance of a 5 star resort. The theather, library, and business center just add to the Watergarden experience. The building is pet friendly, and has one of the more liberal rental policies in town. Eric Miller and Associates attended the convention center lottery the night this property first went on sale, and are here to show this great Ft. Lauderdale Condominium. At Eric Miller and Associates, "We're here to help" with your next Watergarden purchase or sale. Contact us directly at (954) 383-8170.